During his tenure as dean, Schapiro worked with the faculty to adopt a strategic plan to guide the priorities of the school. The plan, which was adopted in 2014, highlights four areas of focus – expanding academic and scholarly distinction, building an individualized educational experience that integrates theory and practice, extending the reach of legal education through global engagement and distinguished graduate programs, and ensuring the affordability, accessibility, and diversity of the Emory Law experience. Through the course of Dean Schapiro’s tenure, Emory Law added renowned scholars and expert practitioners to its faculty; enhanced experiential offerings and signature programs in advocacy, transactional law, and intellectual property/technological innovation; founded the Volunteer Clinic for Veterans; expanded the global reach of its community and its curriculum; and further diversified the faculty and the student body. Emory Law also has benefited from generous philanthropy, including major gifts to support student scholarships and programs in transactional law, civil rights, religious freedom, and other areas. Dean Schapiro has been on the faculty of Emory since 1995. His research focuses on federalism and state and federal constitutional law, and he teaches courses in constitutional law, federal courts, civil procedure, and legislation and regulation. 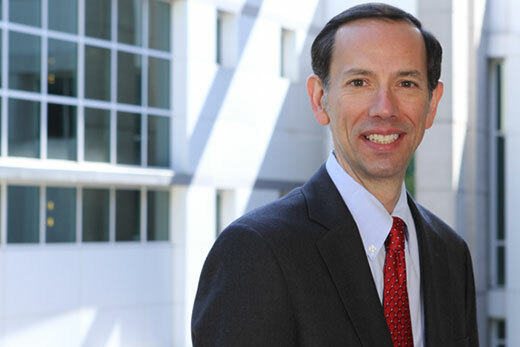 Before becoming dean, he served as associate vice provost for academic affairs for Emory University, co-director of the Emory Law’s Center on Federalism and Intersystemic Governance, associate dean of faculty for the Law School, and associate faculty director for Emory’s Halle Institute for Global Learning. A graduate of Yale Law School, Schapiro served as editor-in-chief of the Yale Law Journal. He clerked for Judge Pierre N. Leval of the U.S. District Court for the Southern District of New York and for Justice John Paul Stevens of the U.S. Supreme Court. He worked with the law firm of Sidley & Austin in Washington, D.C., where he practiced general and appellate litigation. Prior to joining Emory Law, Schapiro taught for two years at Duke Law School. He earned his B.A. at Yale and his M.A. at Stanford University. The process to identify an interim dean to be in place by Sept. 1, 2017, will begin immediately, while a search for a new dean will be conducted during the 2017-18 academic year. This search will be conducted by Emory’s provost.